Mark McGowan is a Phi Beta Kappa graduate of Stanford University (1981) and Stanford Law School (1984). 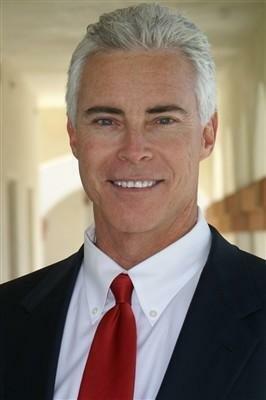 He is certified by The Board of Legal Specialization of the California State Bar as a Specialist in Probate, Trusts, Wills and Estate Planning. If the gross value of your estate (including your house) is over $150,000, do you have a Trust? Have you legally designated who would care for your children if you were to die? Have you designated how your personal property will be distributed (including your pets) after your death? Do you have someone authorized to handle financial matters for you in case you become disabled? Do you have an Advanced Health Care Directive that provides the names, addresses and telephone numbers of your designated agents? Do you have provisions in your Trust or Will for payment of estate taxes? If you answered “No” to any of the questions above, please feel free to call my office and speak with me. Do you have an Advanced Health Directive which was executed before 2003? Has there been a change in the gross value of your estate (the value of all you own, not including what you owe)? Have you recently married or remarried? Have you bought or sold a house or other piece of property? Have you recently sold or are you contemplating selling stock or other assets? Have you moved between states? If you answered “Yes” to any of the 7 questions immediately above, please feel free to call my office and speak with me. Missing Any of These In Your Estate Plan? Are you being deprived of part or all of your inheritance? Are others trying to take more than their share of an estate? Have you been named as trustee but are not sure how to proceed, what you have to do, or how to protect yourself? Are you being unduly pressured by beneficiaries while you try to serve in good faith as trustee? engaging in misconduct, suspicious or fraudulent activity? failing to communicate with you? depriving you of information, accounting and/or your inheritance? Do you feel a trustee should be removed and/or replaced? Do you feel an additional trustee needs to be added in order to secure fairness for all concerned? Did someone unduly influence or coerce you or a loved one into signing a will or trust? Are there conflicting versions of a trust or will of Decedent? Has a caretaker of Decedent been granted part of your expected inheritance? Are you a caretaker of an individual who wants to grant you an inheritance – a part of his or her estate? Special steps need be taken for a caretaker to validly inherit. An attorney specializing in this area must be reached to ensure any such gifting is done properly lest it be invalidated and you lose any such inheritance. What is the impact or enforceability of a no-contest provision in a trust? Trusts often contain a provision that says anyone who contests the trust is disinherited. However that does not mean a trustee can run amuck, or commit breaches of their fiduciary duties, on the mistaken notion that because of the no-contest provision, no one can challenge their misconduct or bring them to justice for their misdeeds. With the power of trusteeship come many obligations. Indeed there are several fiduciary duties by which a trustee must abide, lest he/she be possibly sanctioned by the court or be removed as trustee. Is a trustee entitled to compensation for his/her work, and what is a reasonable or fair amount? Together we can review the terms of the trust and we can guide you as to the range of what is customary or permissible in trustee compensation. What is a trustee allowed to do, what must he/she do, and/or what must a trustee not do? 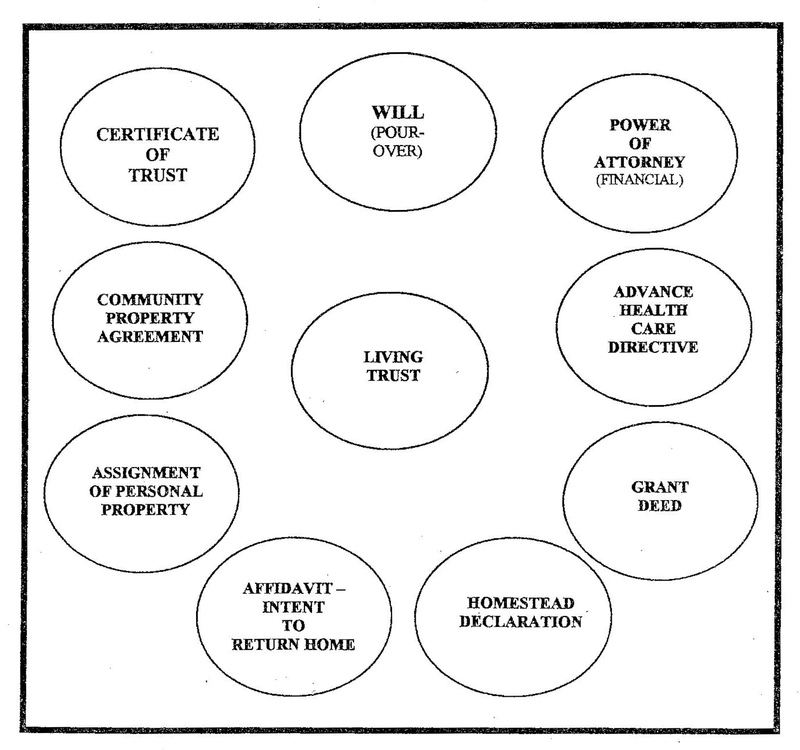 What rights does a beneficiary have? What are the fiduciary duties which a trustee must meet? What does it cost to get the help and representation of an attorney on my side? 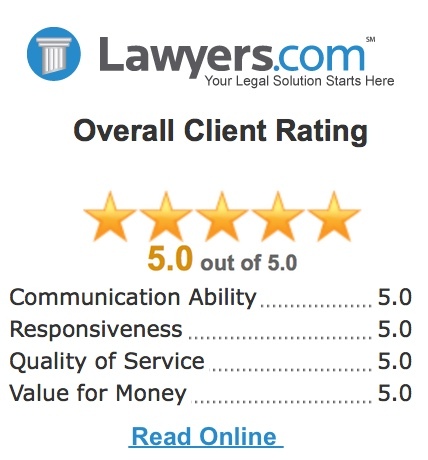 Typically we are hired on an hourly basis; in certain circumstances, as needed, a contingency fee is arranged in which the attorney gets a percentage of what is recovered in a disputed inheritance. Can we reach resolution without going to court, or incurring lots of attorney’s fees? What all is involved in trust administration? Probate court often calls for an accounting to be done by a trustee, showing where funds have gone and justifying expenses incurred. There are two types of conservatorship: We can help in any case. Conservatorship of the Estate. An able individual (“Conservator’) gains legal authority (through a court approval process) to manage the financial affairs and related concerns of someone unable to do so himself/herself (“Conservatee”). Conservatorship of the Person. An able individual (“Conservator”) gains legal authority (through a court approval process) to care for the health and physical well-being (and related concerns) of someone unable to do so himself/herself (“Conservatee”). Often an individual applies to gain legal authority to serve in both capacities, taking care of financial and health concerns of someone unable to do either one himself/herself. What is a Power of Attorney and how is it different from a conservatorship? Is a Power of Attorney sufficient or need I pursue a conservatorship? What is the process of gaining conservatorship (e.g. court hearings, etc.)? What if the individual in need of help resists or objects to anyone’s “taking over”? What if the individual in need of help is unable to knowingly consent to a conservatorship? Is there a significant difference between a guardianship and a conservatorship? Probate is a lengthy, involved court process, avoided with most trusts funded, and most insurance products. However even without a trust, if your estate is small enough, full probate can be avoided by instead performing either of two “mini” probate procedures, available for either 1) estates of $150,000 or less, or 2) small estates in which real property is valued at less than $50,000. Should a loved one’s estate fall into either of these categories, notify us so that the appropriate short-cut can be implemented to simplify estate administration. We are experienced in properly drafting, advising and administering special needs trusts to protect a beneficiary’s interests without jeopardizing the loss of his/her governmental benefits. Guardianships and all other issues related to the care of minors we are capable of addressing with you. Mark McGowan is an experienced mediator, skilled at reaching resolution between vying parties. In fact, he serves as a mediator for the local Court every month. We are skilled in all other matters of probate and probate litigation, and able to either guide you or represent you, or both, as you wish. We look forward to being of service to you. The Law Offices of Mark J. McGowan, PC. Located on west side of Fred Waring between Monterey and Hwy 111. Look for his signs on any side of the building and take the elevator to the second floor. We look forward to meeting you. I found myself needing to seek legal conservatorship over my mother’s estate due to a terminal illness. I let my fingers do the walking in the Yellow Pages. Mark McGowan was the first and only attorney I called. We met a few days later. After our initial meeting, I felt and knew that everything would be handled with professionalism and grace. And it was. My husband and I consider Mark McGowan our attorney for our estate now and a consummate professional that our children will be able to rely on in the future. I have worked with Mark McGowan since 2009. 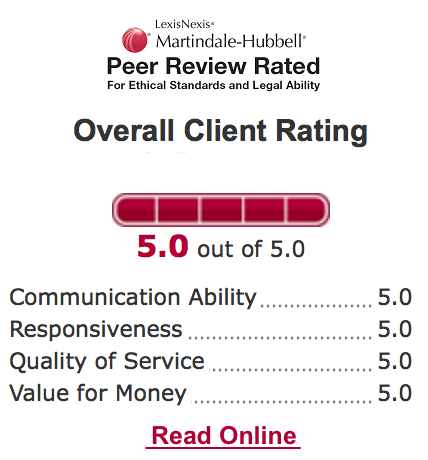 Mark has been reliable and reasonable (fees) throughout a complicated probate issue. I count on Mark and his top notch office staff to inform and educate me on issues that periodically arise. Even when I lived overseas, Mark’s staff kept in touch. They were able to submit documents on my behalf and reschedule appearances when needed. His calm and always professional demeanor is reassuring when appearing in court. I would whole-heartedly recommend Mark McGowan. 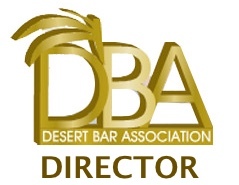 For the Desert Bar Attorney Recognition Award I submit the name of Mark McGowan for your consideration. As his co-worker I this year witnessed Mark’s working through the entire year for hundreds of tough hours above and beyond the very small amount for which he could be paid in order to protect others’ inheritance interests that included that of a five-year old beneficiary who would have otherwise been unrepresented, and whose beneficiary interests would have been otherwise jeopardized. This was done by Mark at great personal sacrifice, in the face of retaliatory tactics and bad faith litigation, to see that Decendent’s trust terms were not ignored or trampled upon, that there be accountability, and that the right thing be done. Hats off to Mark, who has so earned the recognition of his highly regarded peers. You may not recall this, but my wife and I are second generation clients of yours. You prepared my Mother’s updated trust documents following her move to the desert. That’s how we came to contact you. And now having completed the update of our own trust, I just want to say thanks for a great job. Also, thank you for exceeding our timeline and cost expectations! It was all good! 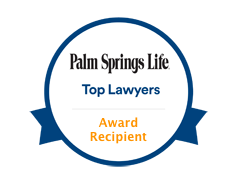 Proudly serving the Coachella Valley communities of Palm Desert, Rancho Mirage, Indian Wells, La Quinta, Indio, Palm Springs, Cathedral City, Bermuda Dunes, Desert Hot Springs, Thousand Palms, Coachella, Thermal, and beyond since 1987. Copyright© 2019 Mark J. McGowan, PC. This site and any information contained herein are intended for informational purposes only and should not be construed as legal advice. Seek competent legal counsel for advice on any legal matter. The materials posted on this website are proprietary and for personal, non-commercial use. Republication, retransmission or reproduction of any images is strictly prohibited.